Oh how I wish I can dwell on those words every minute of the day because when I do, my spirit absolutely soars and I’m ushered into the presence of God. And when that happens I just see life so differently. No insecurities or feelings of rejection. Nope. Nada. None of the above, because it’s just me resting in my sweet Savior! But there is a way to be filled with His presence so we can dwell on Him throughout our day….It’s through the power of the Holy Spirit; our Comforter, our Helper. Goodness, I want to know Him more. I want to breathe Him in. I want to be fully filled with His aroma as He sweeps me into His outstretched arms. Arms that are as wide as an ocean filled with His never ending grace. Unconditional love. And acceptance; complete acceptance because He made me. Complete acceptance because He made you. Oh, how He ministers to us, sweet friend. If only we’d slow down enough to hear Him or develop a discerning ear to His still small voice. I love that still small voice that whispers my name, daughter, (that’s what He calls me), that is until He asks me to do something that I don’t want to do! Which is what He did not too long ago. The day God told me to write about His Spirit. Delusional and crazy would be the words that I’d use to describe this endeavor. What human being, in their right mind, would do such a thing? Don’t people realize that the Holy Spirit is a mystery? I’m not a theologian. I don’t know Greek, goodness I barely know the basic English language. And I’m certainly not spiritual enough…. These were all the thoughts that ran through my mind when He called me to write this series. How do you expect me to write on this subject matter, Lord? The gentle nudging from my Father continued. Daughter, you need to write on the Holy Spirit. Yeah, yeah, I hear you, Lord. But in reality I was just going to pretend I did not hear His voice because what He was asking me to do just intimidated me way too much. I wanted to fight Him and I was fighting Him all along the way. The nudging and prodding continued. His voice became louder and more frequent. I could clearly hear Him but what He was asking me to do what ridiculous. Minute by minute I kept pushing His request out of my mind because the thought of writing about the Spirit of God overwhelmed me. How do you write on the Holy Spirit, I thought? Where do I even begin? There are so many different things to write about? It’s such a vast subject matter. I can’t do this, Lord! Now here’s the part of the story where God shows up and I have my burning bush moment. Within seconds my computer screen opens up and this is what I read in the book…..
As I wrote this book, the question that kept burning in my mind was how can any human being write well on the sacred topic of the Holy Spirit of God? No subject intimidates me more, yet I can’t think of anything more essential for God’s church everywhere, and especially in the western hemisphere where it seems that the Holy Spirit is all but missing from most of our churches. Chan, Francis (2009-09-01). Forgotten God: Reversing Our Tragic Neglect of the Holy Spirit (p. 17). David C Cook. Kindle Edition. Shut up! I couldn’t believe what was in front of my eyes. A book on the Holy Spirit! And the words that I read were so like my own. His burning bush appeared right before me in that very second, and let me tell you, I was BENT OUT OF SHAPE! “Because you don’t look right.” He could see how my face was all twisted by the news that I had just received. I told him I was wrestling with God. And God was winning! I proceed to tell him the whole story. “Moses got an Aaron!” I stammered. But of course every now and then I just gotta struggle with my Father, because, well, that’s just what I do. Don’t ask me why I do it because I don’t have that answer. I know He’s smarter than me. I know He knows what’s best for me. And I know He’s got my back. I’m a very planned, well-thought out, and organized person (at least in my mind!). I function well that way and it allows me to accomplish all the tasks that are before me, however, with this series I’m extremely intentional about not laying out everything that we’re going to cover ahead of time because I don’t think it is spiritually wise for the Spirit of God to conform to my agenda, and I promise this time I will not wrestle with Him! From the depths of our souls let’s journey together as we go seeking Him and falling in love with Him all over again! You can read part 2, here. 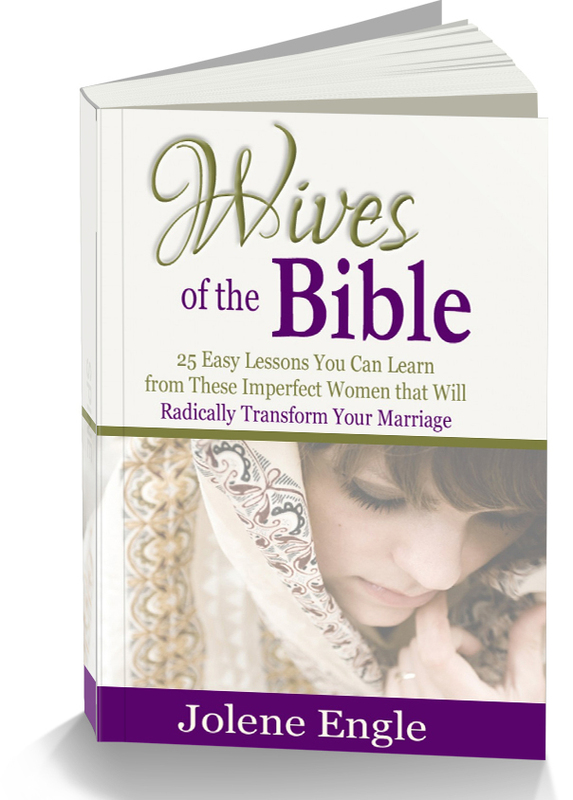 « My Journey to Becoming a Godly Wife and a Link Up!